The iconic Australian designer, Florence Broadhurst, needs little introduction. 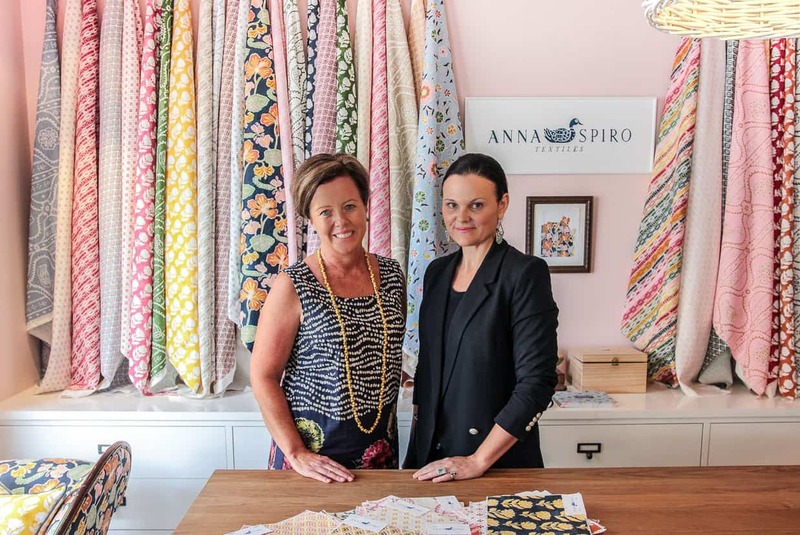 Her hand screen printed wallpapers and textiles have coloured the world with luxurious patterns in rich and vibrant tones since the 1960’s and her original company, Australian (Hand Printed) Wallpapers Pty Ltd was located near our current Sydney showroom, in beautiful Paddington! The Florence Broadhurst design archive grew to over 500 images ranging from tapestries to geometrics, florals, psychedelic, and delightfully eccentric Chinoiserie. Yet hundreds of these designs have never seen the light of day. Until now! We are very excited to have worked with Materialised, the new home of the Florence Broadhurst Design Library and archives, to create an exclusive Heatherly Design Art Series. There are many die-hard Florence Broadhurst fans out there, and I am one of them! 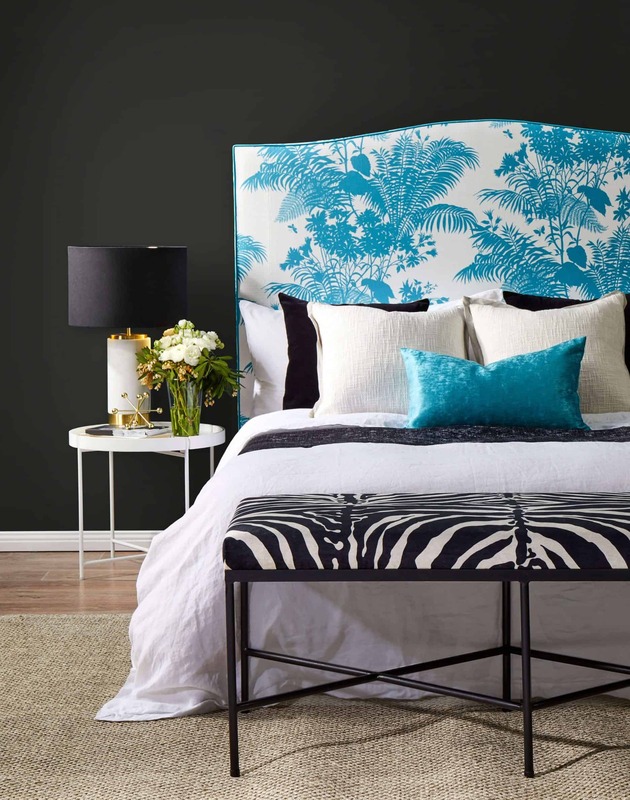 To work with such incredible designs in custom upholstery for the bedroom felt so right. Looking through Materialised’s collection was like a jewellery box of hidden treasures! 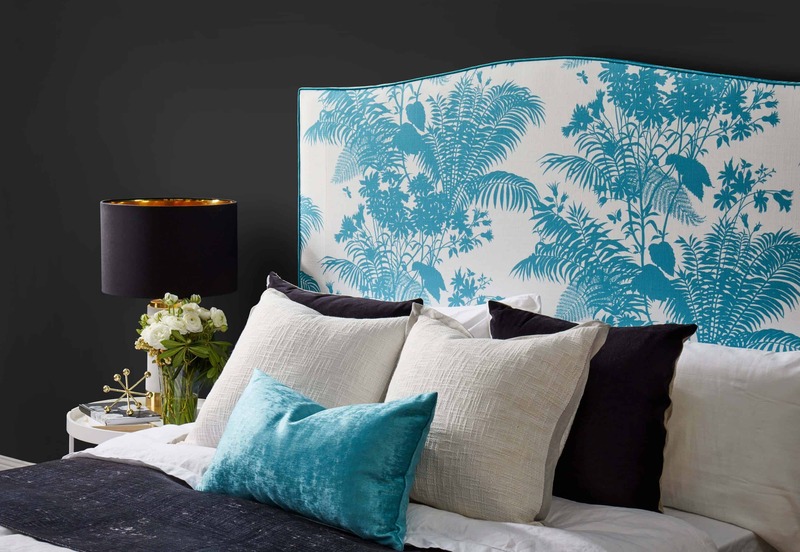 I’m a huge fan of peacock and the Shadow Floral printed on linen was singing to me for our Fulham bedhead. 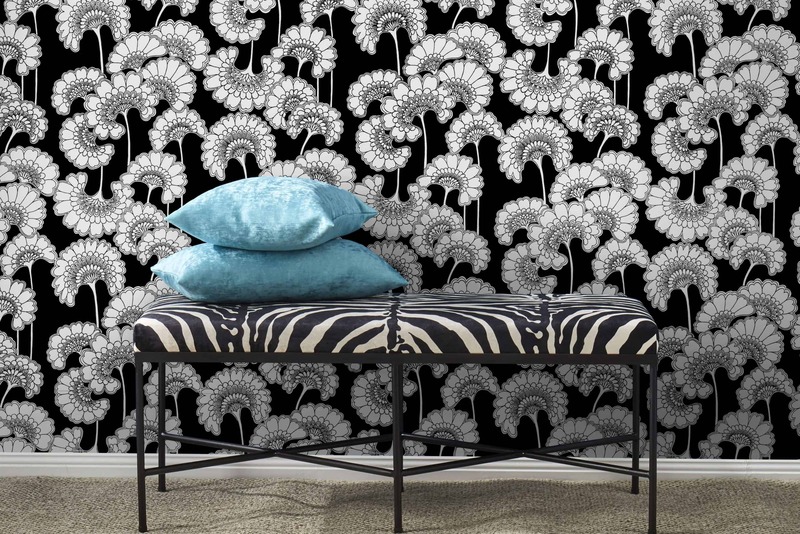 Clearly I was feeling very bold in combining with a tiger print in velvet for the new Todd footstool. 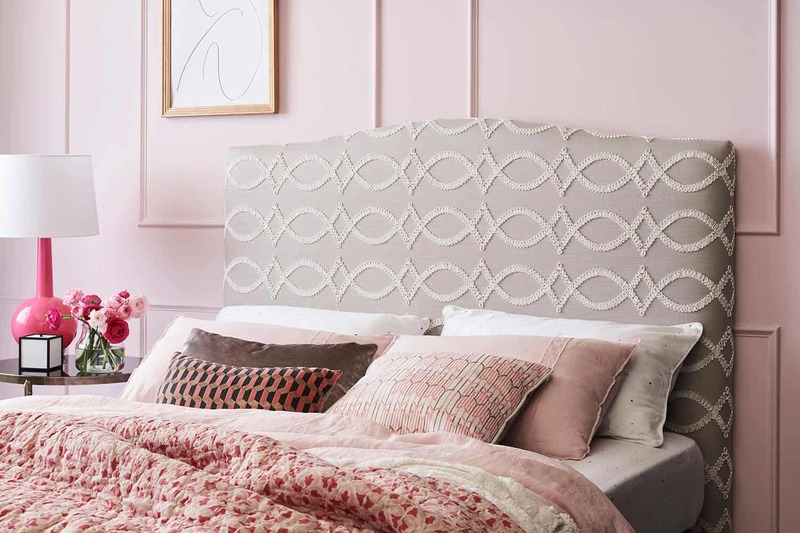 Belinda Price from Materialised says, “The Heatherly Design brand is synonymous with quality and Australian craftsmanship, so the opportunity for Georgie Leckey to design a bedhead and footstool in our Florence Broadhurst fabric was an absolutely natural partnership. We are thrilled with the result and hope you love it too! With thanks to Materialised; Collaboration through Catherine, TUBU Collective Photoshoot concept and styling by Jessi Eve; Photograph by Jaye Chaffey.